When going into your eyelash appointment it is best to have a good idea of the style of lashes you want! 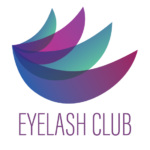 Understanding the difference of each eyelash extension option you have available to you will help you make this decision. Everyone has a unique eye shape and face shape. These factors will allow you to determine which of the 3 styles best fits you. If you are still unsure, your lash tech will give you her best opinion on what would be best for your set of eyes. If you are looking for a more simple look, then classic lash extensions is the style for you! Although these are the least dramatic set of lashes you can get, they are still noticeable and full. The whole point of getting eyelash extensions is so you can achieve the look as if you are wearing mascara/false lashes. The classic lash set is for those who do not want as full or dramatic lashes. These lashes will provide you with just enough length to be recognizable, yet subtle at the same time. If it is your first time getting lash extensions, it is recommended that you start off with classic to see how you like them. A hybrid set of lash extensions are the perfect blend of fluffy and subtle lashes. This style is not overwhelmingly intense, and still gives your eyes an extra pop. Hybrid lashes give you a more dramatic look. You should try this style first if you are not sure if you are ready for the ultimate volume set. Depending on the size of your face and your eyes, you will want to have your lash tech examine what is the best fit for you. You cannot go wrong with this style! You get the luxury of having full lashes, while not being so intense. Now for volume! Out of the three styles, volume lash extensions are the most full and fluffy. If you want that dramatic look, as if you are always wearing false lashes then this is the style for you! The volume set is the most dramatic, as the most lash extensions are applied with this style. 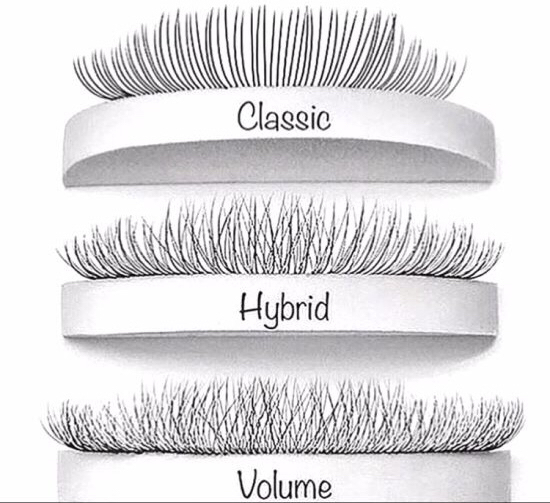 Your lashes will be both thicker and longer in length with a volume set.